Our latest design in store takes a much lighter look at the game. Everyone loves a little bit of cricket – and us mere regulars certainly don’t have the skills or physique of a Stuart Broad or even a Freddie Flintoff, but it doesn’t stop us from having a good game over the weekend to take the stress away from work, right? 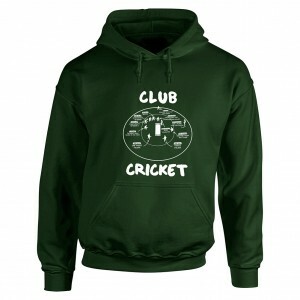 You’re bound to enjoy our new and funny “Club Cricket” design, available on a t-shirt, slim fit, hoodie or sweatshirt in Bottle Green. The average club cricket team features, with information on all their best qualities… if they’re even remotely positive! Why not get your hands on it today? Just click here and order now – and have a laugh with your mates as they decide who’s who!